The naja (nah-nah) pendant is a design inspired by the Native American silver jewelry tradition - especially the Southwestern Indian jewelry. 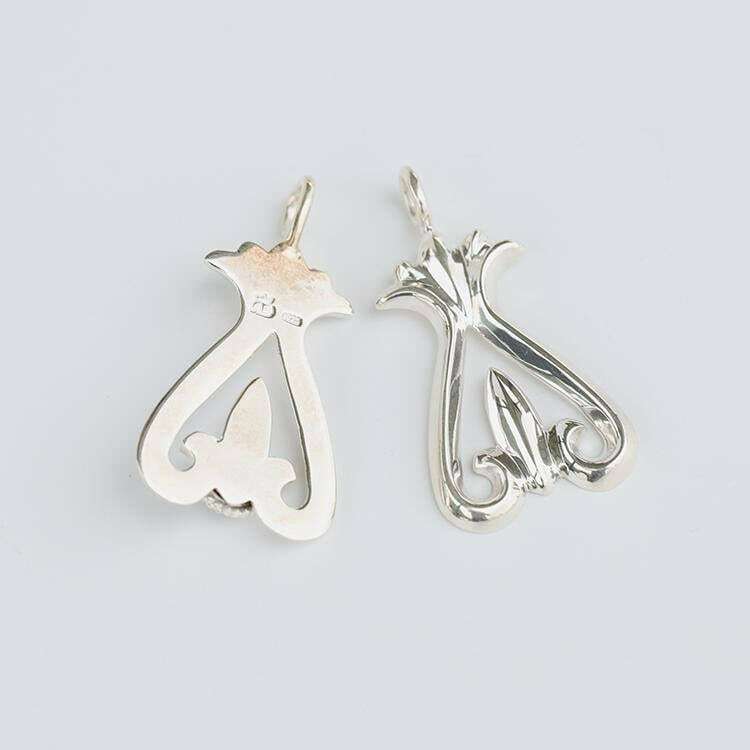 The naja is crescent shaped pendant - adopted from Moorish-Spanish designs. 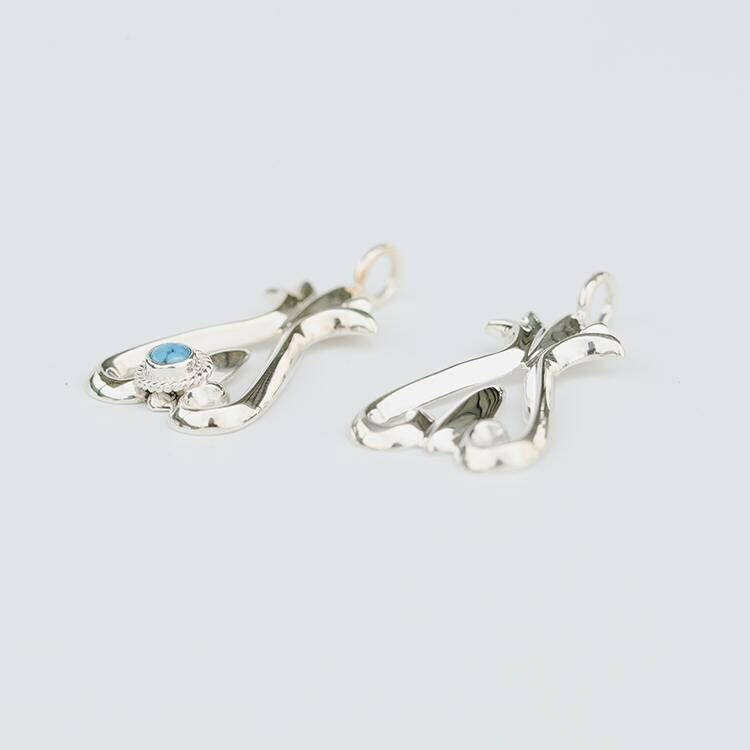 It also represents the shape of the squash blossom. 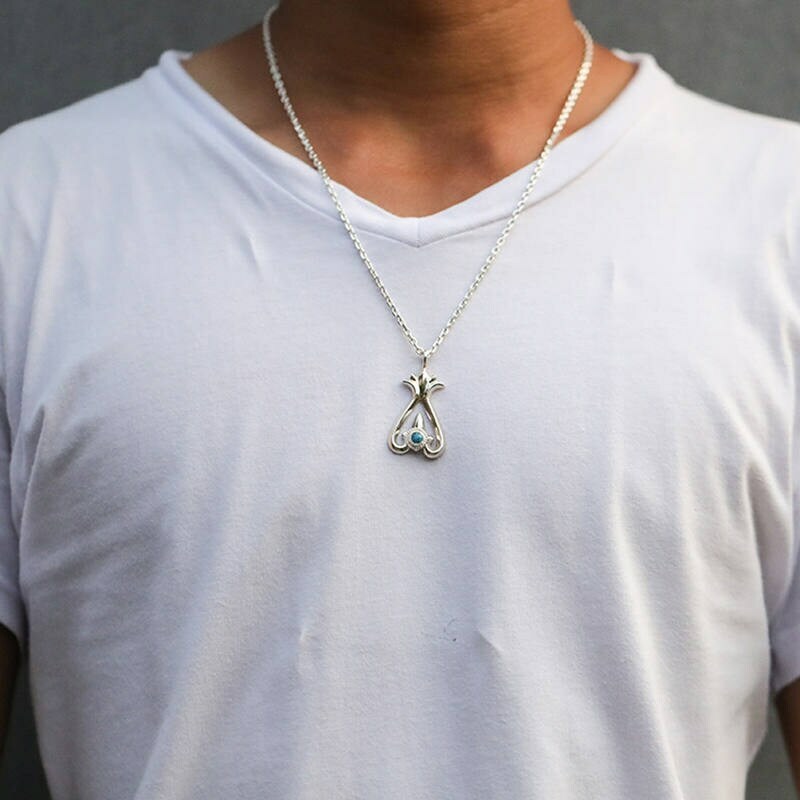 Wearing the naja pendant is believed to bring good fortune and keep away the evil eye. 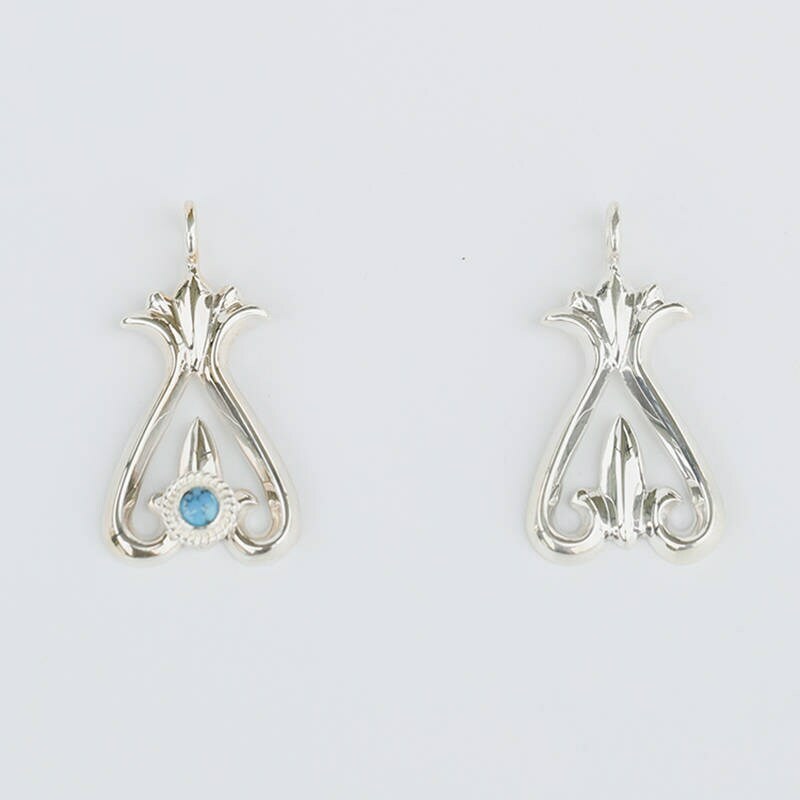 A subtle engraved pattern, topped with a small turquoise gemstone in the center completes the picture. 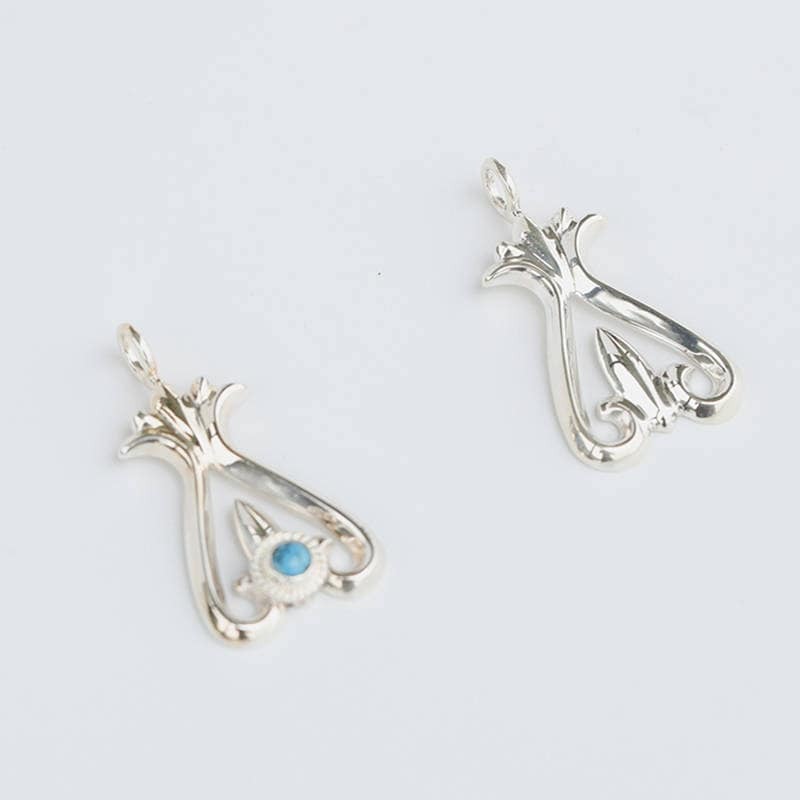 Available in two styles: plain or with turquoise.